Olive Schreiner. Schreiner, Olive, 1901, photograph. Mansell / Mansell / Time and Life Pictures / Getty Images. 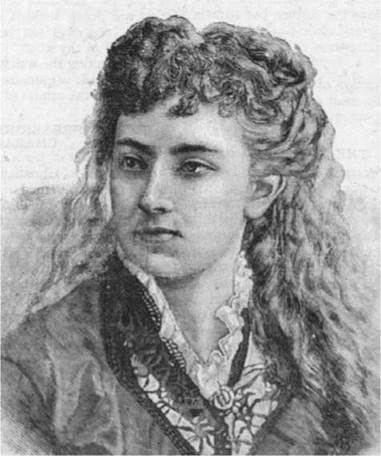 South African author Olive Schreiner was an important feminist and social critic. Her fiction, set in her native South Africa, brought that country’s natural beauty, people, and racial problems to the world’s attention. Modern feminists consider Schreiner one of the most important voices of the movement’s early days. Her pioneering essays on the repressed plight of women and South African blacks have influenced many writers around the world. Launched Writing Career. Self-educated and well read, Schreiner took five teaching posts in the Cape Colony over the next seven years. She began writing fiction and saving her wages for a trip abroad, hoping to find a publisher and to study medicine. In 1881, at the age of twenty-six, Schreiner traveled to London with three manuscripts, including one she at first called Thorn Kloof, then Tyndall, before finally deciding on The Story of an African Farm. Writer George Meredith, a reader for the publisher Chapman & Hall, recommended its publication. The novel appeared to acclaim in January 1883 under the pseudonym Ralph Iron. Critics soon revealed that the best-selling work had been penned by a woman, making the ideas it espoused all the more controversial. Breaking with Tradition. Prevented from studying medicine by worsening asthma, Schreiner forged a career as a writer, moving in progressive political and literary circles, planning an edition of Mary Wollstonecraft’s A Vindication of the Rights of Woman (1792), and agitating for suffrage. At the time, women did not have the right to vote in Great Britain, though the Isle of Man had granted property-owning women the right to vote in 1881. Despite her upbringing by missionary parents, she gradually repudiated their traditional religious and social beliefs and formed friendships with freethinkers like Havelock Ellis, Eleanor Marx, and Karl Pearson. Schreiner had little regard for prevailing fashions. With her marked disdain for hats, gloves, and restraining undergarments, Schreiner endured the constant disapproval of those who adhered to the rigid code of Victorian decorum. Her apparent disregard for appearances and adoption of the New Woman’s reformed dress stemmed from more than a desire for comfort in her native South African climate. It was a deliberate statement on the severely limited boundaries of the woman’s sphere. By emphasizing her ‘‘strong square figure’’ in shapeless suits, Schreiner physically asserted the feminist beliefs that formed the basis of her writing. Return to South Africa. In 1889, Schreiner returned to South Africa and, five years later, married farmer-politician Samuel C. Cronwright. Defying tradition, she retained her maiden name, while he hyphenated his to Cronwright-Schreiner. Their marriage was intermittently happy, marked by frequent and lengthy separations and marred by the death of their only child soon after her birth in 1895. As the nineteenth century drew to a close and the twentieth century began, Great Britain cemented its power in South Africa after winning the second Boer War in 1902. The British fought the Boers, largely farmers of Dutch descent, who were concerned that the British wanted to exert total dominance over the Boer states of Transvaal and the Orange Free State, which had been annexed by Great Britain after the First Boer War in 1877, but enjoyed limited self-government; it turned out they were right to be concerned. The war was unpopular even in Britain, where the military’s brutal actions in South Africa were viewed as naked imperialism. Great Britain gained control of the region with the signing of the Treaty Vereeninging. During her marriage, she published collections of allegories and stories, articles on South African politics, and her most influential writing on women’s lives, Woman and Labour (1911). Gathering evidence from the animal world and women’s history, Schreiner argued that the roles played by men and women were ‘‘neither universal nor innate.’’ In the future, she maintained, both sexes would shed outer pretenses and emerge as equal ‘‘comrades and co-workers.’’ As a result, Schreiner rejected the prevailing Victorian doctrine of separate spheres for the sexes and emerged as an advocate of egalitarian cooperation. Yet in a society with such a fixed social and political hierarchy, she was by and large an outsider often unwell, and frequently short of funds. Schreiner feared at times that she was ‘‘only a broken and untried possibility’’ as a writer, citing her literary gifts, her unfinished works, and her difficult private life. Novels Published after Death. Throughout her life, Schreiner worked in spite of ill health and self-doubt to expose and remedy what she called ‘‘the desolating emptiness and barrenness of the majority of middle-class women’s lives,’’ paving the way for feminists who followed. After a return to England in 1914, she went back to South Africa shortly before her death in 1920. Schreiner’s other novels—From Man to Man (1927) and Undine (1929)—had feminist themes and appeared posthumously. Susan B. Anthony (1820-1906): Anthony was a civil rights leader in the United States who also helped get women the right to vote. George Meredith (1828-1909): English novelist and publisher's adviser who recommended that Schreiner's The Story of an African Farm be published. His novels include The Egoist (1879). Havelock Ellis (1859-1939): This controversial British psychologist was a friend of Schreiner. His books include The New Spirit (1890) and Sexual Selection in Men (1905). Virginia Woolf (1882-1941): This British author wrote the extended essay A Room of One's Own (1929), an important feminist work. A Room of One's Own (1929), an essay by Virginia Woolf. In this extended essay, Woolf claims that women must have money, time, and space if they want to write. The Feminine Mystique (1963), a nonfiction book by Betty Friedan. This popular book challenged the idea that women mainly belong in the home. The Handmaid's Tale (1985), a novel by Margaret Atwood. In Atwood's futuristic society, women's main purpose is to produce children or to be wives. Fried Green Tomatoes at the Whistle Stop Cafe (1987), a novel by Fannie Flagg. In this novel, which was made into a popular film, a group of southern American women explore their various social and sexual roles and try to change them. Questioning Established Beliefs. Schreiner’s experiences growing up in South Africa as the daughter of Christian missionary parents provided much inspiration to her writings and her life. While she eventually rebelled against these beliefs as well as many of the values of Victorian society, the background gave her something to react against. Schreiner was also self-educated, and the many books she read also influenced her as a writer. Women and Children. All of Schreiner’s novels are concerned with women’s search for equality, love, and fulfillment. They share characteristics common to Victorian fiction: the tendency to ramble and to appeal to the emotions rather than to the intellect. Schreiner drew credible characterizations of children, but her depictions of adults, and especially her male characters, are often considered unrealistic. In her Story of an African Farm, however, the characters are sketched so vividly, so concretely, that most readers will remain attentive when the farm’s isolation or the descriptions of nature lead a character to some philosophical or mystical musing. Clearly the young children’s attempts to think through the demands of conventional religion are touching; the children are stunted and controlled by these restrictions. The Natural World and the World of Mind. Set in the landscape of Schreiner’s childhood, The Story of an African Farm recounts the tale of two orphaned cousins, one a domestic, unimaginative sort, the other the most outspoken feminist to appear until then in British fiction. The novel combines several haunting, evocative descriptions of nature with many explorations of each character’s own point of view. Many of the philosophical musings on religion, life, death, sexual roles, and the purpose of life may have seemed profound to Schreiner, who was only twenty when she began to work on the isolated Fouche farm, Klein Ganna Hoek, in the Cape Colony. Influence. Modern feminists consider Schreiner one of the most important voices of the movement’s early days. Her role as an influence upon other writers is also widely acknowledged. D. H. Lawrence’s early novels owe much to Schreiner’s daring treatment of human sexuality. Pioneer. An unconventional woman, Schreiner was a pioneer in her treatment and depiction of women and in her vivid portrayal and use of the African landscape. As a novelist, short-story writer, and political essayist, she was both acclaimed and derided during her lifetime for her pioneering views on the role of women, her rejection of Christian convention, her anti-imperialist stance, and her pacifism during World War I. Many critics contend that Schreiner is best appraised as something other than a fiction writer. In her novels, the artist often gives way to the social reformer, and Schreiner’s bold, lively, and realistic style takes on a quasi-biblical aura in her short stories. These stories offer vibrant, optimistic visions of life, contrasting sharply with her novels in style and tone. Based upon readings of Schreiner’s stories, some critics have described her as essentially a poet and a prophet and not a fiction writer. Today, Schreiner’s works are read and studied by a new generation of feminists who ascribe to her a leadership role in the advancement of women’s rights. After its publication, Schreiner moved back to her homeland and continued to pursue a writing career, putting her energies into nonfiction dealing with a variety of social concerns. Schreiner published several other novels, including From Man to Man and Undine. Although her later novels contained feminist themes similar to African Farm and found critical favor for their depiction of the exotic African landscape, they were deemed, on the whole, inferior to Schreiner’s first published work of fiction. 1. Critics have claimed that Schreiner is more of an activist than a writer. Using examples from some of her works, write a short essay explaining why you agree or disagree. 2. Compare Schreiner’s writings about South Africa with more modern writers from the same region, such as J. M. Coetzee and Alan Paton. In a paper, address the topic and include the answers to these questions: Who seems to know more about the landscape? How can you tell? 3. Research the Boer War and create an oral presentation explaining Schreiner’s involvement. 4. Woman and Labour and Woolf’s A Room of One’s Own have similar themes, but Woolf’s is usually the more well regarded of the two. With a group of your classmates who are familiar with Woolf and Schreiner, discuss why that might be true. Barash, Carol, ed. An Olive Schreiner Reader: Writings on Women and South Africa. London: Pandora, 1987. First, Ruth, and Ann Scott. Olive Schreiner. New York: Schocken, 1980. Norman, Henry. ‘‘Theories and Practice of Modern Fiction.’’ Fortnightly Review (December 1, 1883): 870-86. ‘‘Olive Schreiner: Biographical Overview.’’ Emory University. Accessed July 2, 2008, from http://www.emory.edu/ENGLISH/Bahri/Schreiner.html. ‘‘Olive Schreiner (1855-1920).’’ Drew University. Accessed July 2, 2008, from http://www.depts.drew.edu/wmst/corecourses/wmst111/timeline_bios/OSchreiner.htm. ‘‘Olive Schreiner.’’ Spartacus Educational. Accessed July 2, 2008, from http://www.spartacus.schoolnet.co.uk/TUschreiner.htm. ‘‘Olive Schreiner.’’ Washington State University. Accessed July 2, 2008, from http://www.wsu.edu:8080/~dee/Schreiner.html.